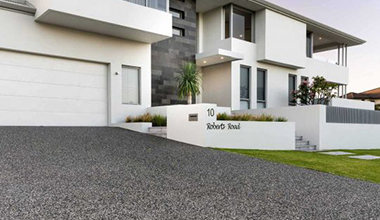 Looking for the best exposed aggregate, liquid limestone and decorative concrete driveways in Perth? There are many obvious home improvements you can undertake that will increase your home’s beauty and value; upgrading your concrete driveway or entertaining areas is one of the best ways to do this. 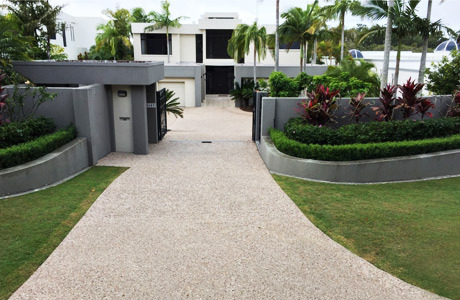 During the past few years, the team at Decorative Concrete WA (DCWA) have perfected the science of concreting. While decorative concrete is certainly not a new idea, it is a quickly growing trend in all the areas we service. This includes Perth, Fremantle, Rockingham, Mandurah, Baldivis, Joondalup, Morley, Two Rocks and anywhere else within 60km of the Perth CBD. It is a cost-effective way to add durability, beauty, and a one of a kind look to your home or your business. 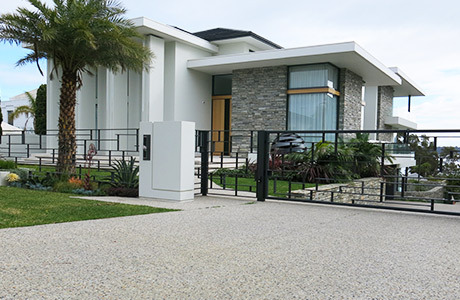 Our highly experienced concrete professionals work closely with our customers to create a one-of a-kind look perfectly suited for your home or business. Decorative concrete is not just our job – it is also our passion. 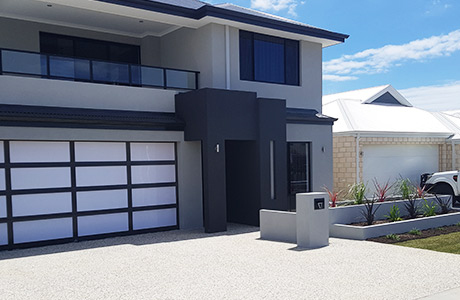 Having spent years in the decorative concrete industry, we have learned many useful things that have elevated us to one of the most respected concreting companies in and around Perth. Our goal is always 100% customer satisfaction. If you are ever unhappy with any interaction during or after our time working with you, please call us immediately, and we will make things right. All of our work is fully guaranteed at Decorative Concrete WA; in addition to all existing manufacturer warranties. We look after your property and the environment in the way we use our materials. We also recycle any excess products that may otherwise become waste material. We offer a range of decorative concrete solutions for inside and outside the home. Improving your property in Perth’s suburbs has never more affordable. We offer our decorative concreting services to commercial clients. Improve the value and aesthetic of your commercial property with Decorative Concrete WA. Once you have decided that decorative concrete is the right choice for your project, you will have many colours, styles, and types of materials available to you. 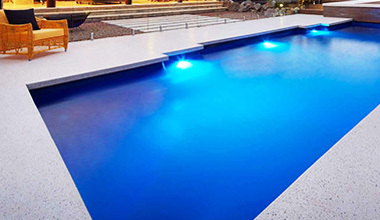 We offer one of the widest selections of decorative concrete in Western Australia. All of our products are well suited to the hot Perth climate and are designed to last for years to come. We only use top quality, long-lasting products; sourced as close to home as possible. Our main suppliers are Limecrete and Hanson. Both companies are industry leaders and meet our supply needs with products that exceed industry standards of quality. Our prices are extremely competitive. If you present an established competitor’s written estimate that is lower than the estimate we gave you, DCWA will match their price. 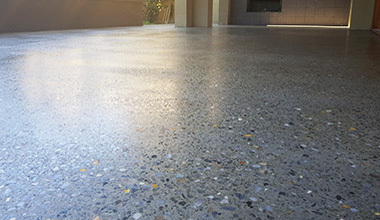 Got a quote from another decorative concrete company in Perth? Provided it’s of high quality work from an established competitor, we’ll do our best to match or beat it. The most popular type of decorative concrete is exposed aggregate (particularly for driveways and paths). This type of finish gives your home a great modern look, while remaining highly durable for years to come. Honed aggregate is technically a type of exposed aggregate, with some distinctive differences. Honed aggregate is ground down, giving the material a much smoother finish than exposed aggregate. 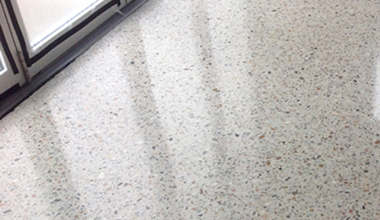 The most noticeable difference between honed and polished aggregate is the finish. Honed aggregate is a smooth satin finish, while the finish of the polished aggregate has a glossy and lustrous look. 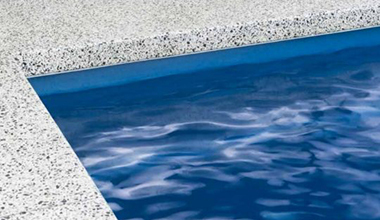 Many pool owners in Western Australia do not realise how much of a difference a solid, quality pool deck, edging, or surround will make to the pool’s look and level of maintenance. Liquid limestone can be used indoors and outdoors. 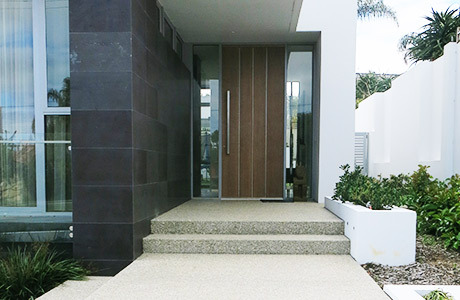 It is a mix of crushed limestone and neutral coloured cement, and together they create a pourable compound that is durable, customisable, and beautiful. Previously, if a customer wanted the look of finely polished concrete, yet had a different type of original flooring, a 10-20mm concrete screed was installed and then polished. Not anymore. With years of experience and a huge number of satisfied customers, we pride ourselves on delivering an exceptional result on every project. We are proud of the work that we do, but we are also proud of how we do that work. Every member of our company understands that a profit made at the expense of integrity is actually a loss. Everyone in the Decorative Concrete WA family (our office staff, architects, landscape designers, and concrete artisans) are highly skilled at their job. We hire only well trained and certified personnel. You can rest assured that whether it is for concrete work or a consultation, our employees will arrive at your home or business on time, with a friendly attitude, and ready to help you achieve the best possible outcome. While we are installing your new surfaces, we will be sure to guard your property and possessions from damage or soiling. We tent and cover as much area as possible while working and operate within all safety guidelines. At the end of our work day, we will clean any messes we made and safely store any equipment out of the way. Because we understand that concrete is a product that is not easy to alter once in place, we only employ staff with extensive experience. We strongly recommend that our potential customers spend some time viewing our past project gallery. We feel that seeing is believing, and we are confident that once you see samples of our work you will believe that we are the right choice for your project. 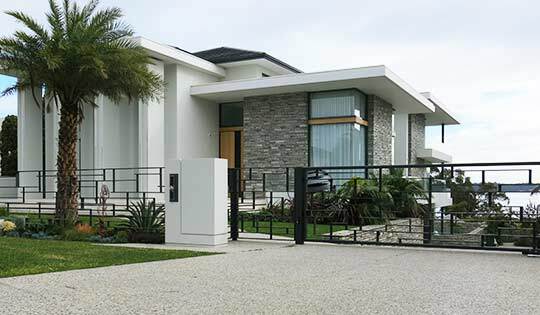 With so many advances in design and mechanics, concrete has gone from a simple and uninteresting solid foundation to a gleaming focal point of homes all over Western Australia. Its adaptability makes decorative concrete an ideal choice for so much more than driveways and pools. Here at Decorative Concrete WA, we have created some wonderfully unique concrete items and put concrete to work inside the home, as well as outside. For example, a honed or polished surface creates beautiful counter tops for kitchens or bathrooms. It also allows us to make stunning floors that are a cost effective and rival costly materials like tile and marble. It’s a beautiful, cost effective material that will last for decades – while needing only minor maintenance.